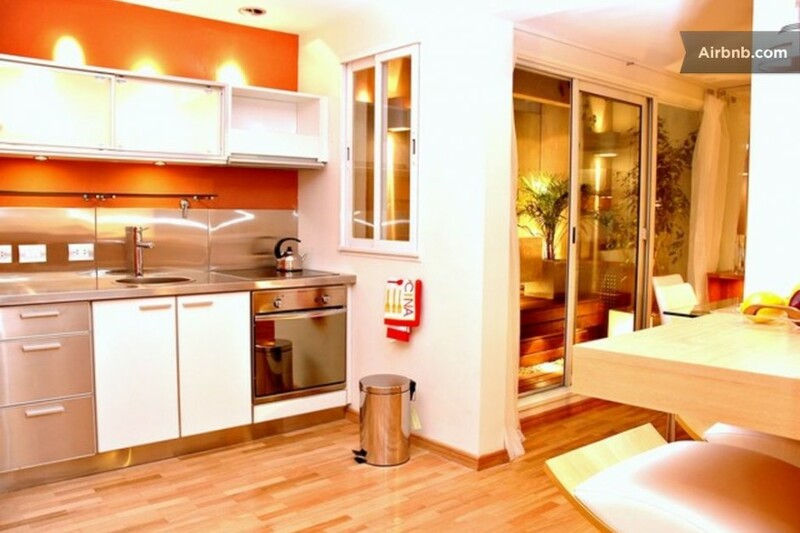 While already well known in the US, Airbnb’s been gaining popularity around the world. The service, allowing travelers to experience a home-away-from-home environment, has changed the landscape of accommodation options. 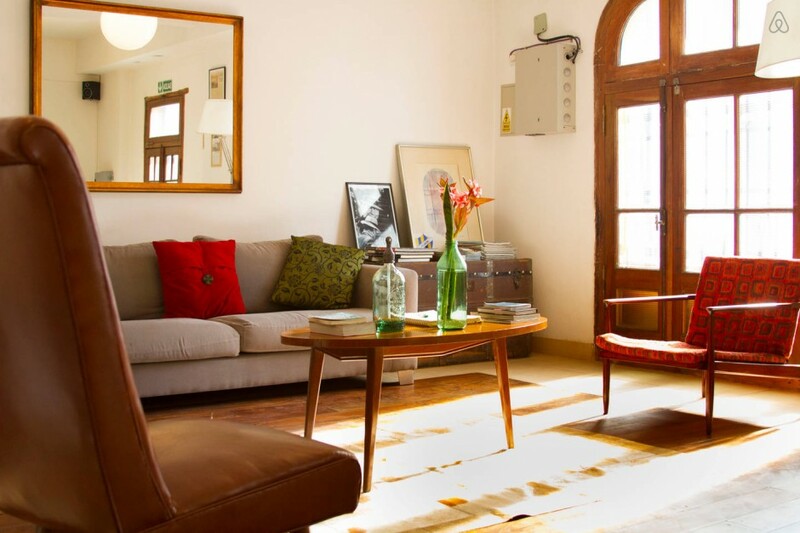 From generous hosts to unique spaces, Airbnbs add to the excitement of a vacation. Sometimes they’re also just plain cheaper than hotels. From an apartment suited for a solo traveler to an eight-bedroom home that could accommodate a soccer team, these are our favorite Airbnbs in Buenos Aires. 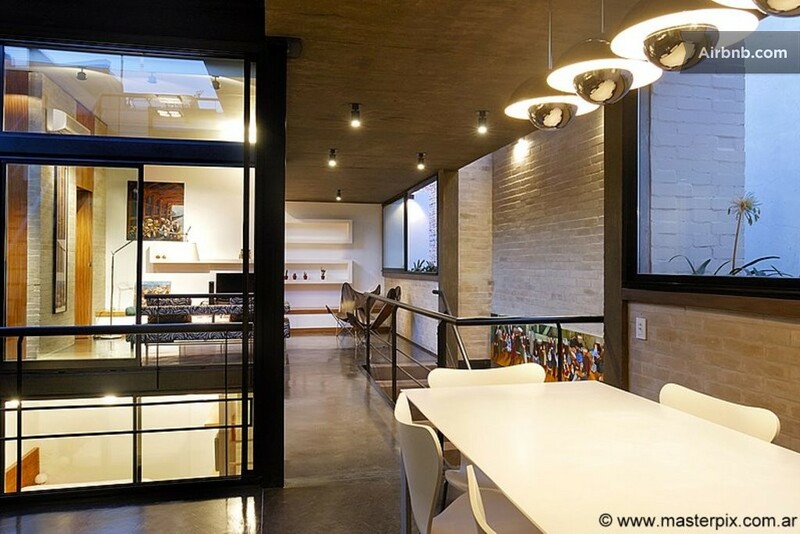 This villa in the residential town of Acassuso, about 13 miles from the city of Buenos Aires, has three bedrooms and four bathrooms, an organic vegetable garden for those looking to cook healthy cuisine, and a parrilla for grilling Argentina’s famous meats. With the pool and ping-pong table on the grounds, renters may be tempted to throw a party. 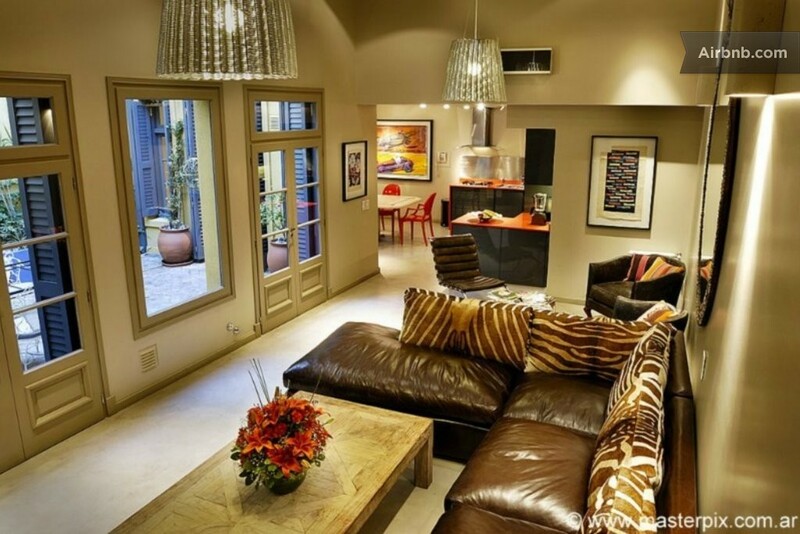 Found in the heart of Palermo, this three-bedroom house has no shortage of outdoor space—step outside and you’ll find a color-changing, heated swimming pool, a parrilla, a dining area, and an adjustable canopy (just press a button; it’s electric). And in the event that you’d rather stay inside, you’ll want to make use of the cinema area. 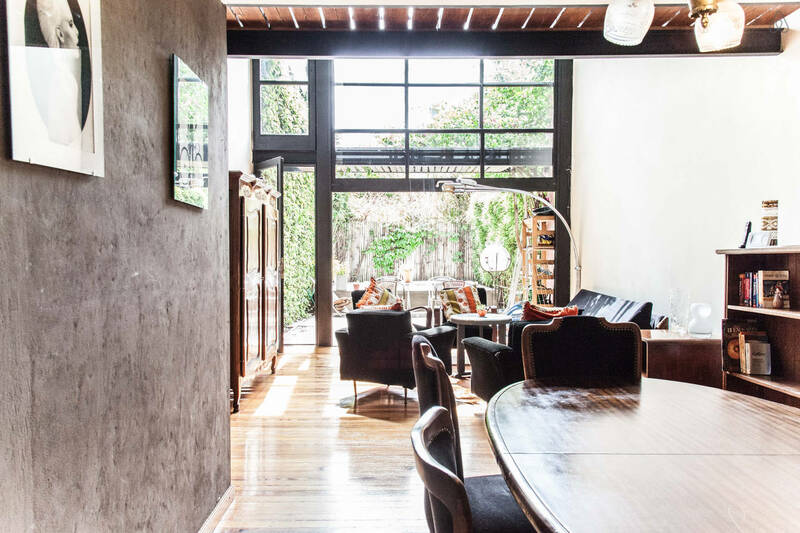 This Palermo Soho home is referred to as “La Casa.” Creative, we know—but it’s an impressive one. 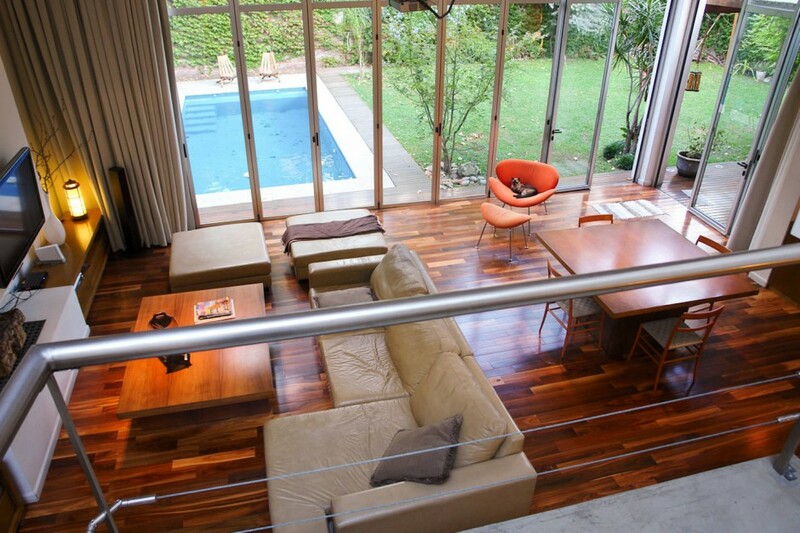 Renovated in 2010, the house has a minimum stay of five nights. 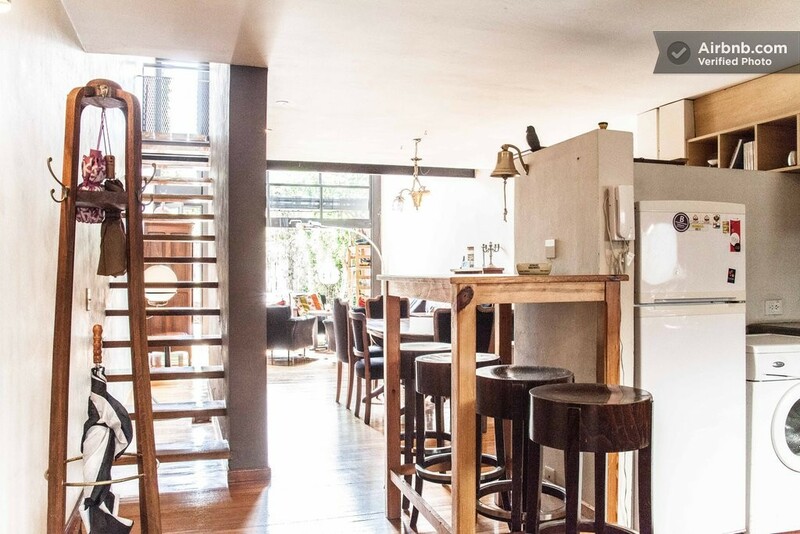 The three-bedroom house has a BBQ area and a wrought-iron spiral staircase that brings visitors to the rooftop terrace. Located a short walk from Plaza Serrano, “La Casa” is close to all the action. This three-bedroom penthouse sits on the 17th story of an apartment building. And it happens to take up the entire floor. We know you don’t want to walk up 17 flights of stairs—don’t worry, there’s a private elevator that deals with the issue rather effectively. 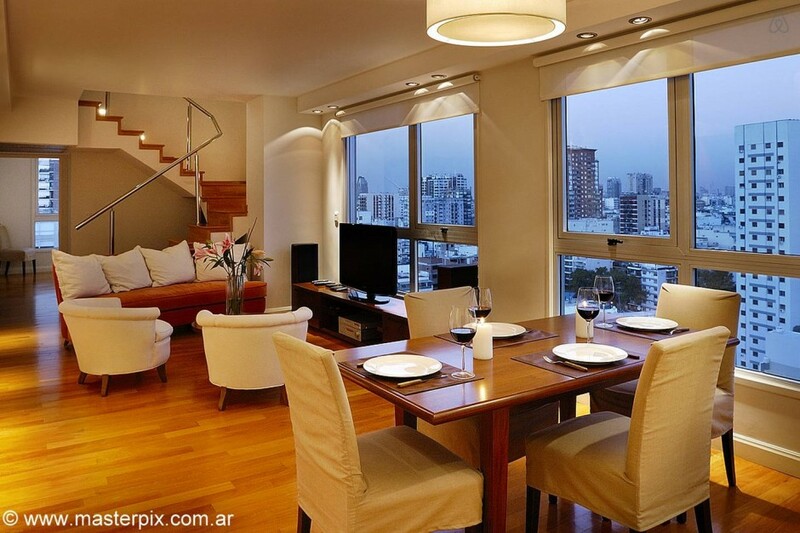 The large windows all over the apartment, from living room to bedroom, allow for unrivaled views of the city. 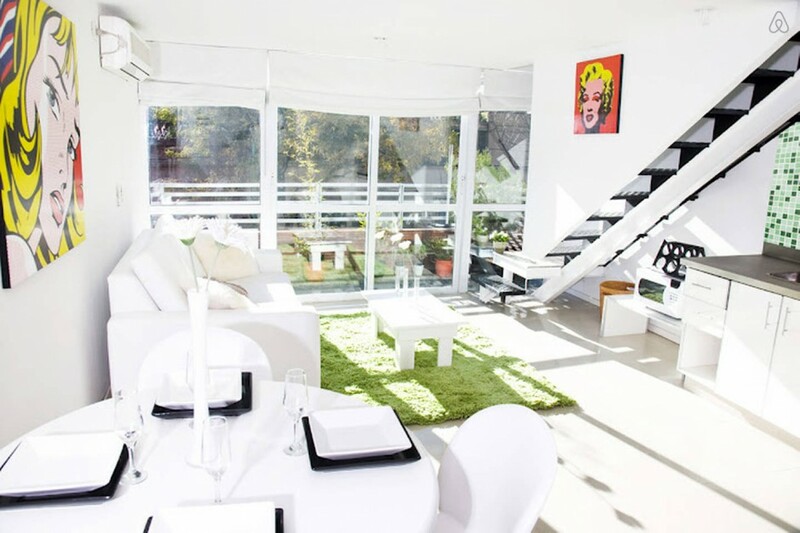 As for the staircase in the apartment, well, it leads to the private rooftop terrace. From the art on the wall to the color schemes, this three-level duplex emplys a modern, pop-art theme—and it works. What are the three levels, you ask? 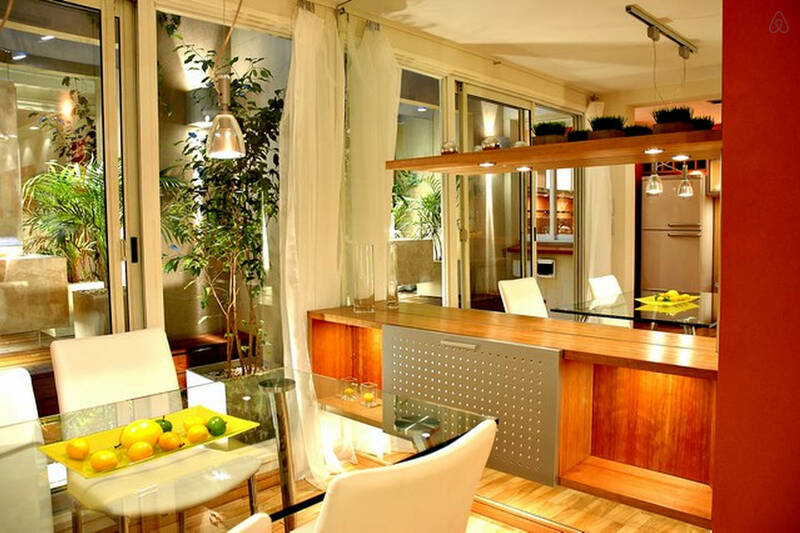 The first level contains a living room, dining area, kitchen, and guest bathroom. Extra guests? The sofa bed handles that. Level two? A master bedroom and a sitting area with a leather armchair. The third level is the rooftop terrace. 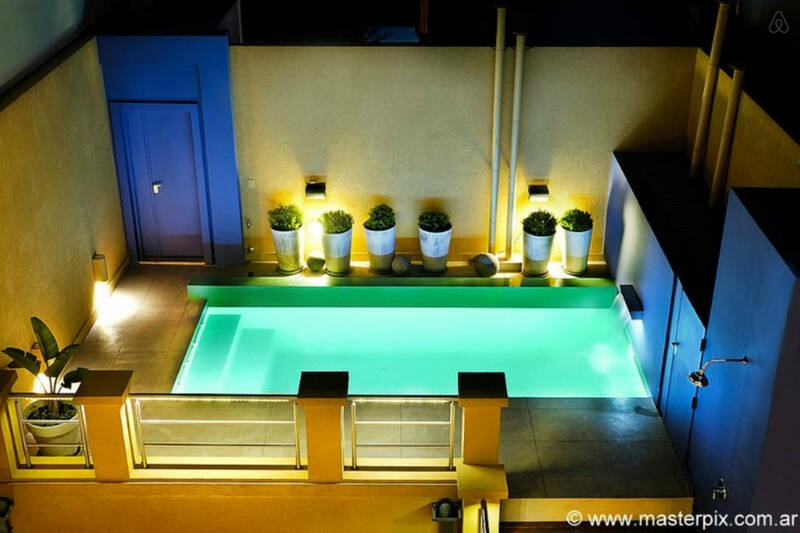 “Casa Unica” in Palermo Soho is a three-bedroom house with an outdoor pool. 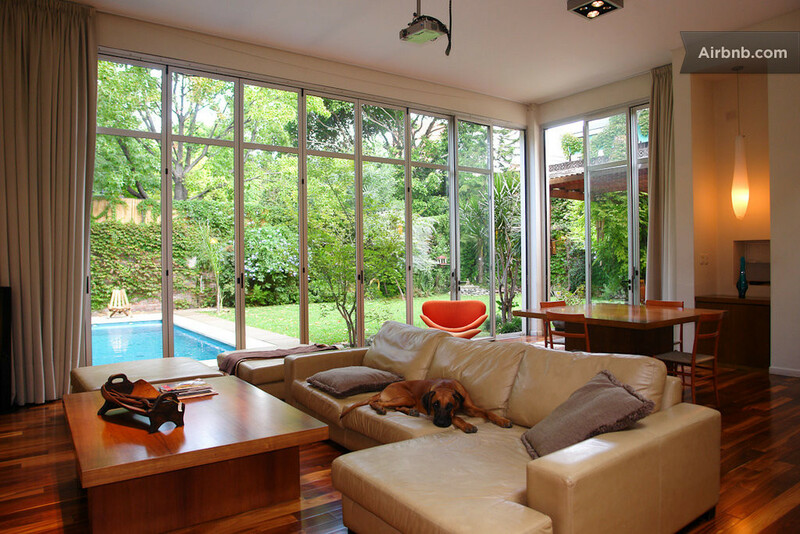 The living room’s wall-sized windows provide a panoramic view of the garden and pool. And if guests prefer a bird’s eye view, a quick walk up to the rooftop terrace will remedy that. If you have a car or two for the duration of your stay, don’t worry—there’s room. 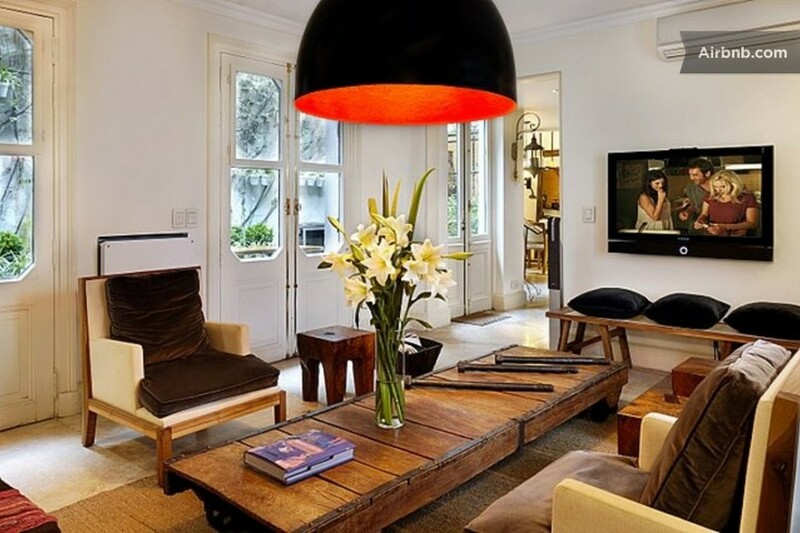 This Palermo home is nicknamed “La Onda.” Though it’s in one of the city’s liveliest areas, guest reviews note that the apartment is surprisingly quiet. The two-floor apartment’s interior is decorated with modern furniture and Argentinian art. 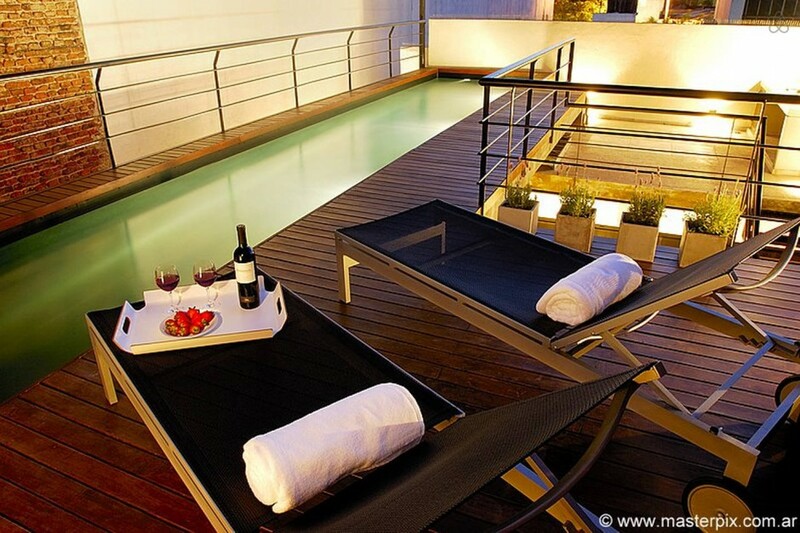 If you choose to have a night in but want to spend some time outside, the heated outdoor pool on the private rooftop terrace is your answer. 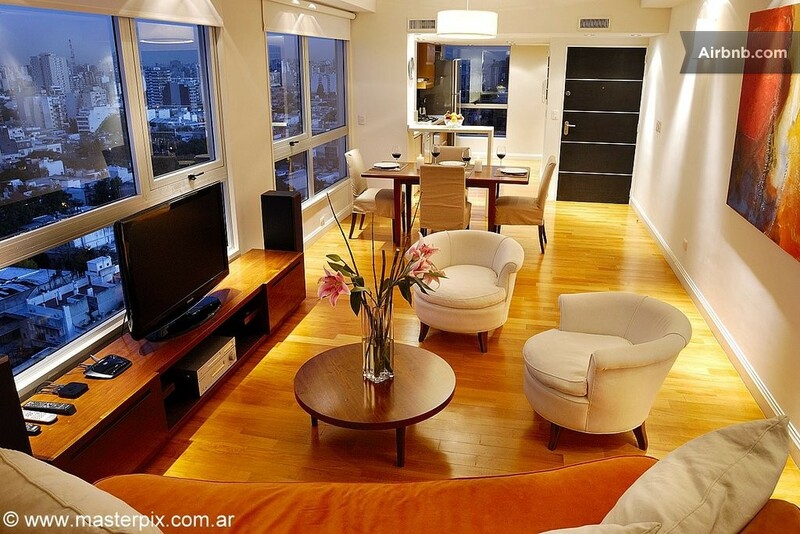 Situated in Recoleta, this one-bedroom apartment is ideal for a couple or solo traveler. 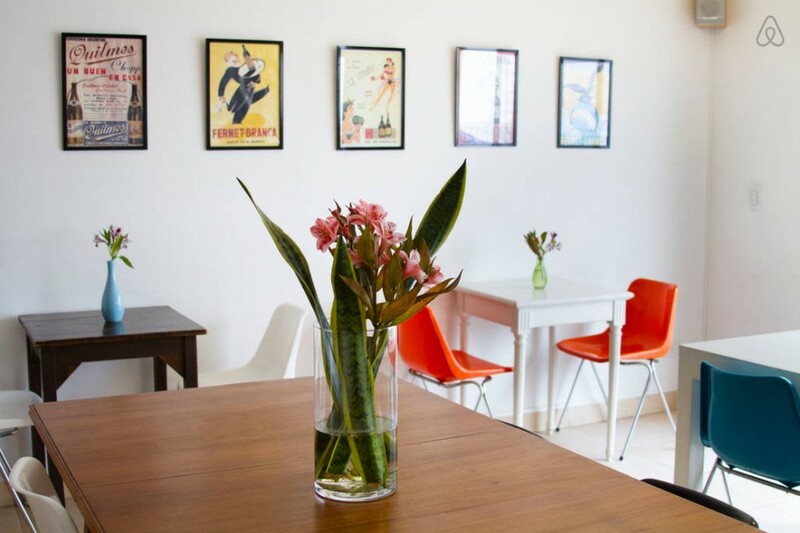 With a complimentary weekly maid service and small business center (including those hard-to-find corded phones), the apartment caters to longer-term travelers who’ll be working during their stay. If you want to give mate a taste, there’s a gourd ready for you to use. 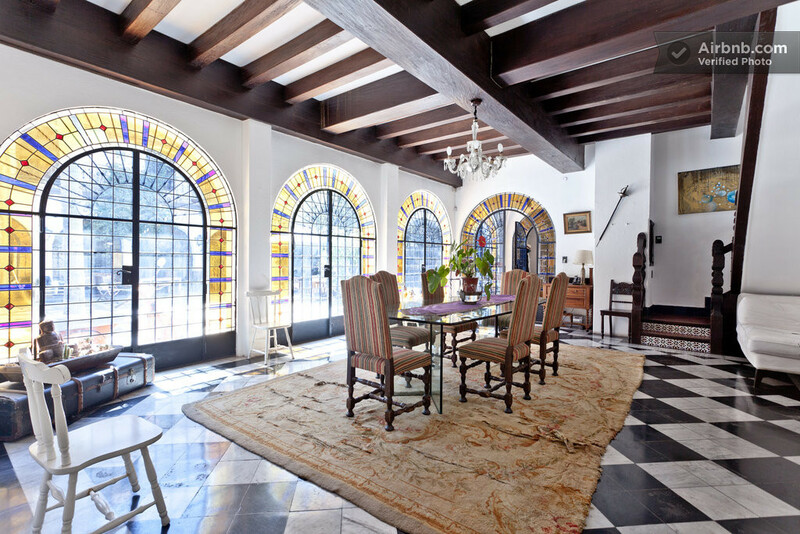 If you’re traveling with a gang of 15 or more people, this eight-bedroom Villa Crespo home could accommodate your party. The house has so many beds you’ll lose count, art prints on the wall that’ll keep you from getting bored, and wifi to use when you’ve temporarily had enough of your 15 friends. 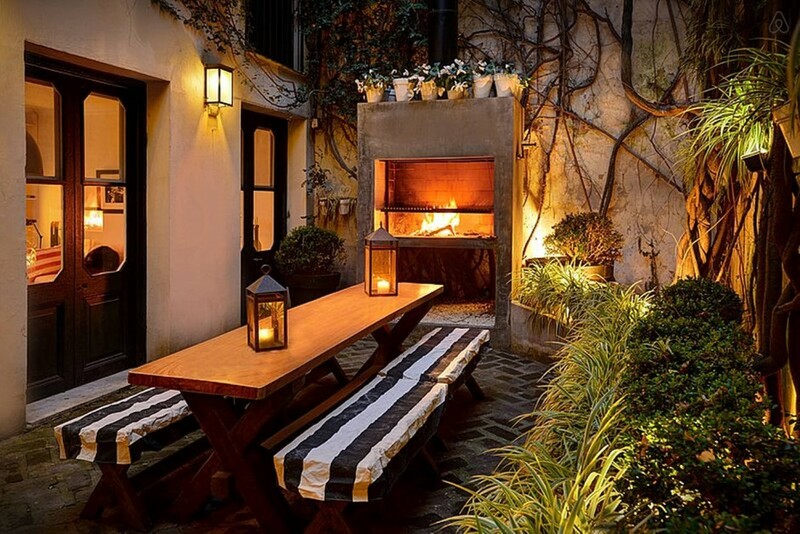 Like many of the other Buenos Aires listings, this one also has a patio. If you find yourself having trouble deciding where to go for dinner or drinks, let your hosts give you a suggestion. This loft is located on a quiet street in Palermo Hollywood. With rustic wooden furniture and a modern aesthetic, this apartment wouldn’t seem out of place on an interior designer’s Instagram page. 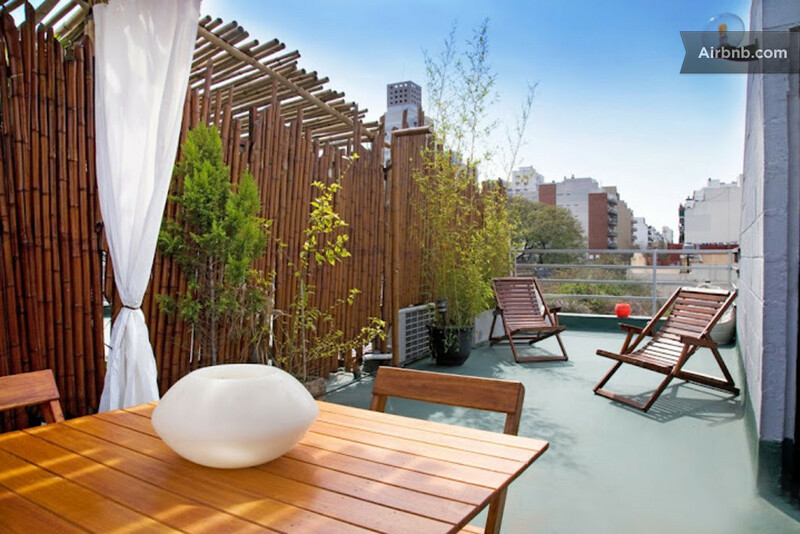 With a small herb garden, sunny roof terrace, and parrilla, this apartment has an outdoor area that can easily compete with its well composed interior. Deciding where to sit when not sightseeing might be a little more difficult than in most hotel rooms. 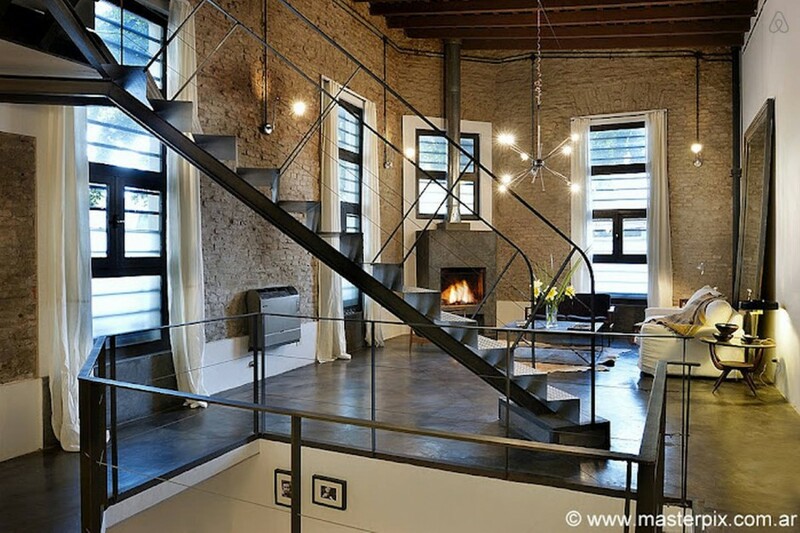 There are high ceilings, exposed brick walls, and windows nearly 10 feet tall. 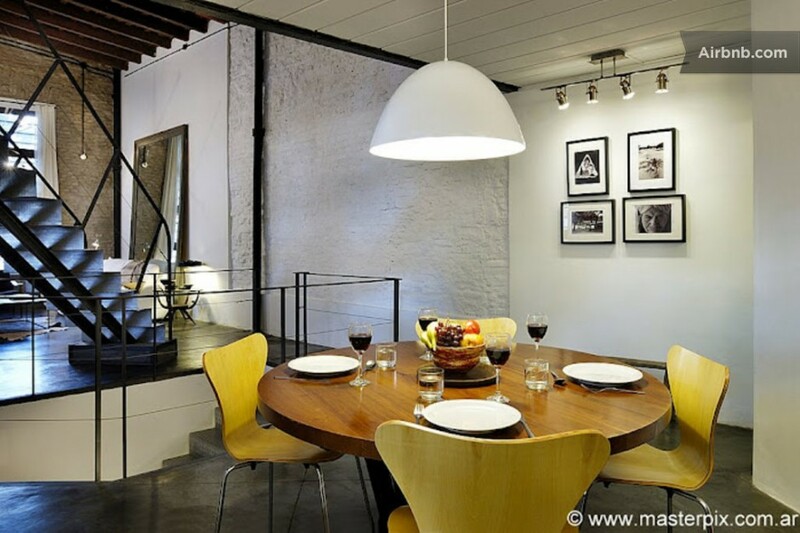 Originally a general store, the apartment was later a restaurant before its recent conversion into a home. Just look around the apartment—you’ll see its history in the almacen ceiling and the bodega’s original scales.